Sorry, we are sold out of this item and it has been discontinued. 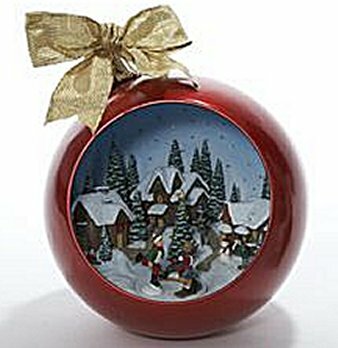 This animated Christmas scene designed as an Ornament stands approximately 9 3/4" high and runs on 4 AA batteries. It's animated skaters revolve around a Christmas tree and plays Jingle Bells digitally (not a music box sound but as you would hear it on a CD). Limited supply - If you need a greater quantity, please order early.